Raw mangoes have started filling the markets over here. So we can assume the mango season has started. Got two raw mangoes to prepare few mango recipes. I often prepare Mango rice whenever I get mango but never got a chance to click the picture as I prepare it most of the time for lunch. But today, I got time to click few pictures of it and now it has come into my blog. 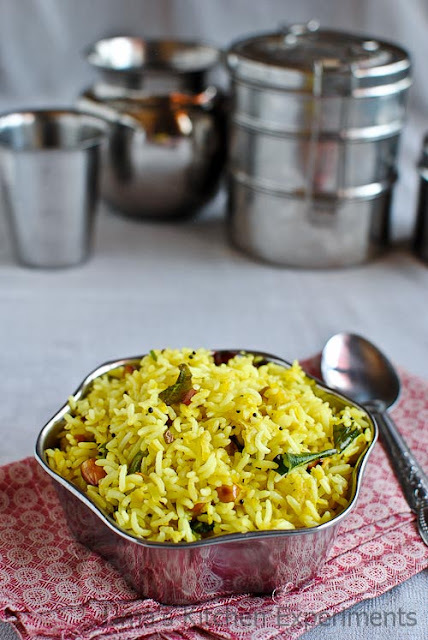 You can use leftover rice too for preparing this rice. In case, if you are cooking rice freshly, then add few teaspoons of gingelly oil to the rice after cooking and spread it in a wide plate to cool to room temperature before mixing it with mango. 1) Heat oil in a pan. When it is hot, add the ingredients given under seasoning. 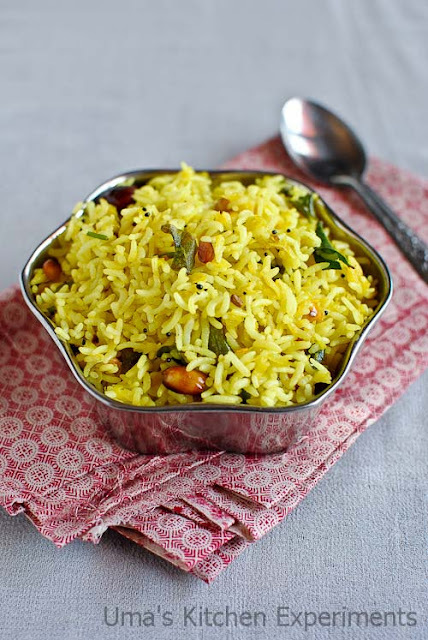 2) When channa dal and peanuts starts to turn brown in color, release nice aroma, add grated mango. 3) Fry for a minute. Add turmeric powder and salt. Mix well. Cook for 4-5 minutes. 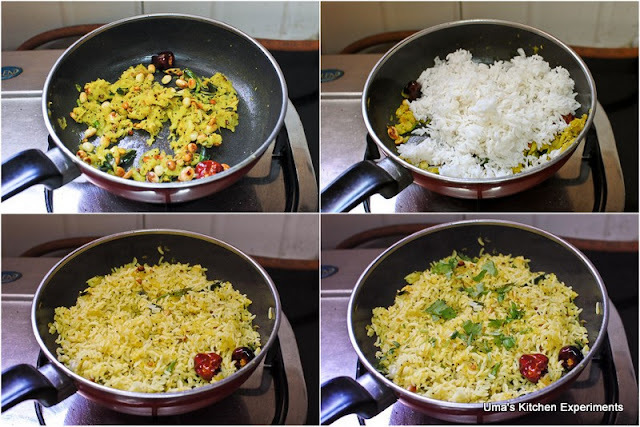 4) Add cooked rice and mix well till your don't see any trace of white rice. At the same time, make sure not to break the rice grains. 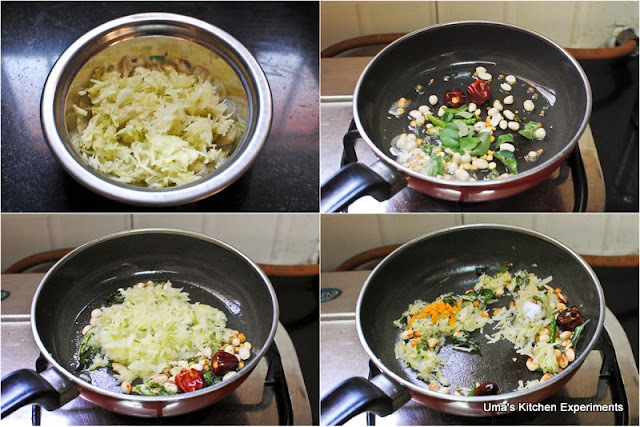 5) Garnish with coriander leaves. 1) Add cashew nuts if you prefer. 2) The mango which I used was very tangy and hence I used it in small quantity (1/2 cup) for 2 cups of rice. Adjust the mango quantity based on the taste of the mango. like the way you have presented it uma.. still i couldn't find raw mangoes in my area except one or two..
its a favorite rice at my place too uma..love the tangy taste anytime..
Rice looks so delicious!! Love the presentation. 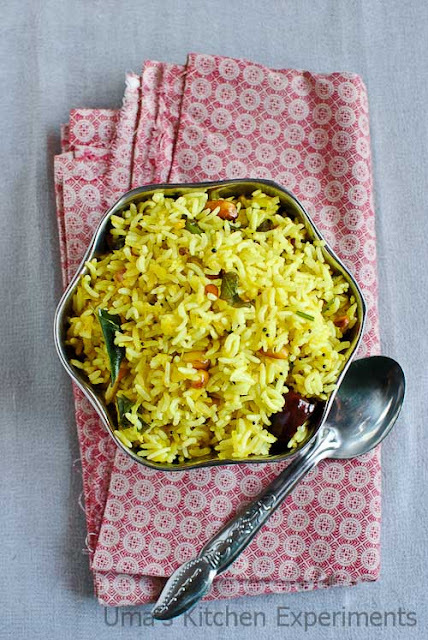 Tasty and tangy mango rice. Lovely meal. Tangy and delicious rice,so good. yummy n tangy mango rice.amma prps this.so tasty. 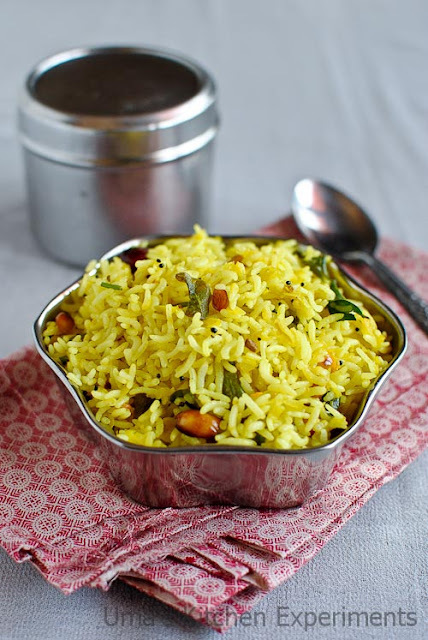 when i saw the pics i thought it was lemon rice,this mango rice sounds better than lemon rice...looks yummy ! 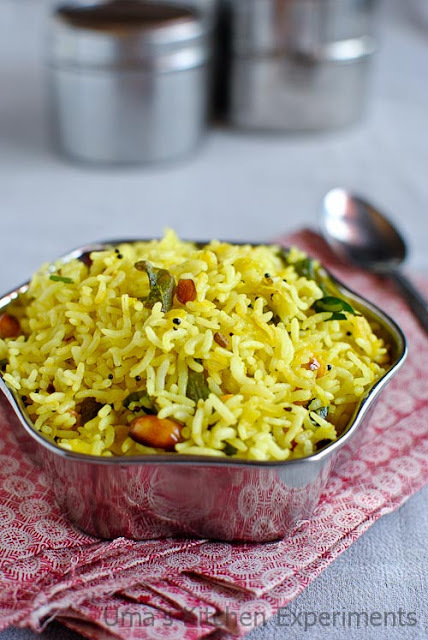 Would love to have some tangy mango rice now.This is so very tempting. luv mango in any form....luv this mixed rice..
Tangy mango rice looks so delicious!! Love the presentation.